Disney has updated their informational page on the FriendShip boat service. Previously, they announced that the service would be unavailable to Epcot until late December. 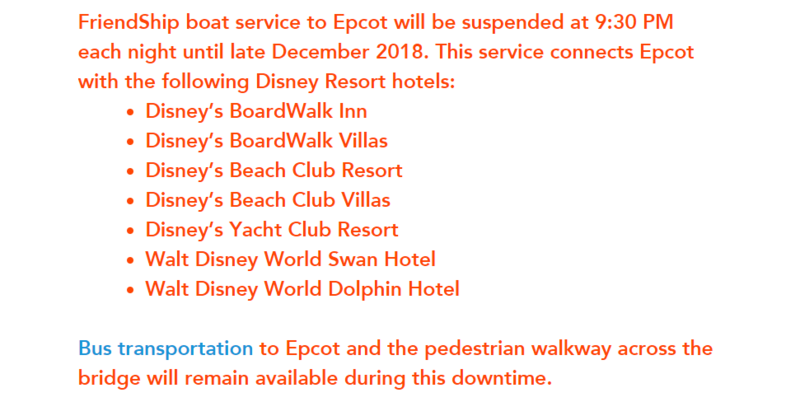 An updated version of their website shows that the service will only be suspended to Epcot in the evenings starting at 9:30pm. This is great news for guests traveling to Epcot during the mornings and afternoons, but it should be noted that Illuminations and park closures are at 9:30pm through December 22, 2018. This means that you’ll have to seek alternate transportation after park closure. 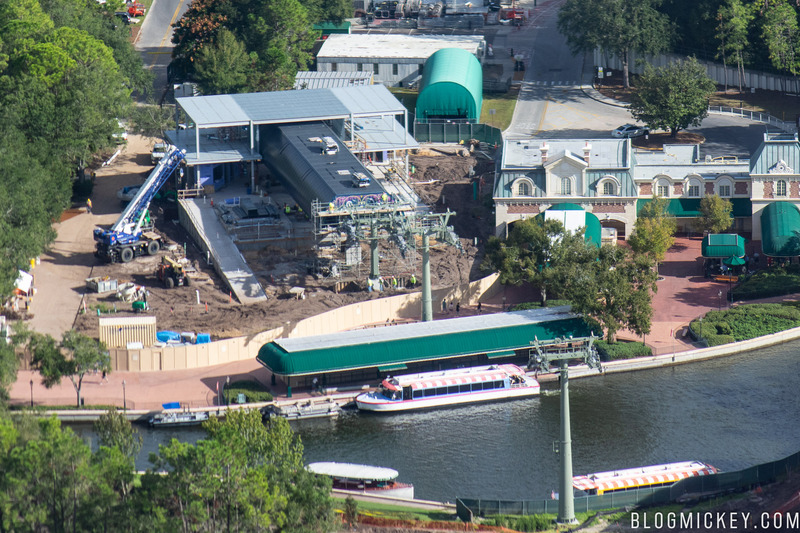 The closure is due to work set to take place on the International Gateway station for the Disney Skyliner gondola system. As always, stick with BlogMickey for the latest information on this and many other stories around Walt Disney World.